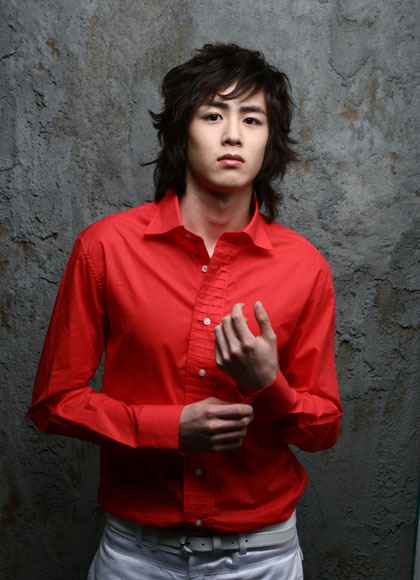 Nichkhun was born in Rancho Cucamonga, California to a Thai father and fourth generation Thai-Chinese mother. At the age of two Nichkhun moved back to Thailand with his family, but moved back to the states to finish his high school career in California. Nichkhun is a member of popular K-pop/rap group "2PM". Ouran High School Host Club | Gekijoban Oran Koko Hosutobu (2012) - president of Singapore co. Honest, humble, caring, sweet and handsome. Waiting to watch "brother of the year" thai movie. Angel Zhou Jun 26 2016 5:59 am Watched seven something just for him but ended up disappointed with the 18 years age gap between him and her :"
But Nichkhun acting is no joke! Hwaiting!! Khuntoria Oct 05 2015 4:54 am Nichkhun I really miss you're pairing with victoria. Hoping.. in the future you'll end up together! hehe. Saranghae oppa. kpopkitty Apr 07 2015 9:35 am I don't care who idols date, but I don't see his relationship with Tiffany going far. I don't hate her, as I don't know her personally, but I think she tends to be a bit stuck up, and she shows off a lot. Ozmo Mar 09 2015 5:18 pm There is no Khuntoria! They acted on the same tv show. They simply worked together. They were never married, lovers, girlfriend/boyfriend or anything other than co-workers at the time. Nichkhun has picked Tiffany for his real life love. End of story! red_khunnie Feb 11 2015 3:35 pm I Love Nichkhun Soooo Freakin Much, He Is My Life, He Is Just Perfect As He Is = ] He Is My Role Model Too He Is The Jang Jang Man ^^ Love For Ever <3 Fighting Oppa And I Hope To See More Of The Acting Works. stephyy Feb 11 2015 12:15 pm That's so weird I live right next to Rancho Cucamonga! Daryl J Jul 03 2014 9:46 pm Tiffany is American. She was born in San Francisco and raise in diamond Bar (outside of Los Angeles). She moved to South Korea to realize her dream, but she still maintains an American citizenship and recently bought a home outside of L.A.
Also, how is speaking your native language showing off. ms.fortune Apr 15 2014 3:46 am @mint, what r u, his MOM? get a life. mint Apr 07 2014 7:38 pm Y is nichkhun dating Tiffany she is not pretty, she is a girl who likes to show off how much she knows English. Like girl your Korean not american. Nichkhun should date Victoria from fx, there married she is more pretty than tiffany or wstever . Usagi Mar 26 2014 6:31 am ALSO. He had a cameo in 16th episode of Korean sitcom "All My Love" in 2010. He played himself in a 1 episode Korean sitcom "Welcome to the Show" in 2011. He played Ma Taichi in a Japanese "Gokumon Satsujin Jiken" Special (TV Movie) of "Kindaichi Shonen no Jikenbo" in 2014. He played Zhang Hao in a Chinese TV series "One and a Half Summer" which will be aired this summer (2014). apol P. Sep 23 2013 9:12 pm your soo........... cute NICHKHUN ! I LIKE YOU SOOO.............. MUCH! Ya Jul 10 2013 8:17 am Nickhun will be leading in a Chinese movie with Miss A Jia..... call "One and a half summer" I CANNOT WAIT.. fighting Nikchun. Yang Vietkhemara Mar 30 2013 9:17 pm 안녕하세요 닉 쿤 ! first, I wish to say that I love you, Ilove you very much!!! you are so cute that I can't help uttering. I hope that I will see you directly!! kay Jun 23 2012 11:22 pm I think you are nice and always live your life happily. Keep trying. I will be your side.I like you. zunzun Jun 23 2012 11:18 pm Hi! Happy Birthday to you, Nickhun . I am one of your fans. I like your cute manners. Fighting! s mon Apr 19 2012 1:35 am hi nichkhun how are you? Noor Syahida Abdul Jalil Dec 23 2011 1:22 am annyeong , nichkhun :) i like you since you're in WGM with victoria .. and you so cool + cute + charismatic + romantic + handsome + funny .. i wish i can visit you in korea .. but my father always busy for his work .. when i grow up , i want go to korea .. and i'm Malaysian .. when you and 2pm make consert at Malaysia , i can't go .. i don't have money to go to your consert .. but i'm enjoy it in youtube .. Nichkhun daebakkk !!!! Fighting ! dani Dec 03 2011 9:50 pm I already loved him from WE GOT MARRIED. I already wanted to watch OHSHC, now I want to watch iy even more!!!!!!!!!!!!!!!!!!!!!!!!! kulukeyoguy Oct 25 2011 6:01 am likeee u so much!! safira o'leokhent Oct 25 2011 5:56 am he seems cool and awesome..
safira o'leokhent Oct 25 2011 5:55 am i don't really familiar to him because i feel it really wasting time to those kpop....but that's just me..don't take it seriously okayyy..however it"s undeniable he seems cool and smart!! Kr!$t!N May 09 2011 12:46 am oppaaa.... FIGHTING!! ‘ _ ’! !